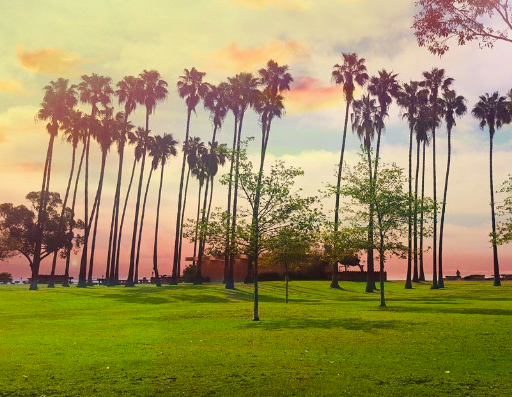 This year marks the debut of Ohana - a two-day music festival taking place on August 27-28 at Doheny State Beach in nearby Dana Point, California. 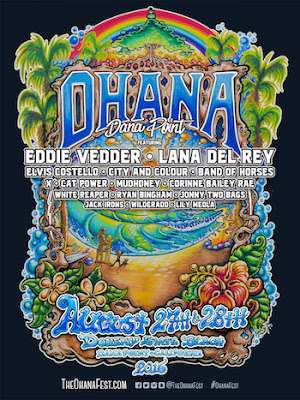 The festival will feature performances by Eddie Vedder, Lana Del Rey, Elvis Costello, Band Of Horses and tons more. Eddie Vedder and Kelly Slater will also be throwing a kick-off celebration at The Ritz-Carlton Laguna Niguel the night before the event on August 26. 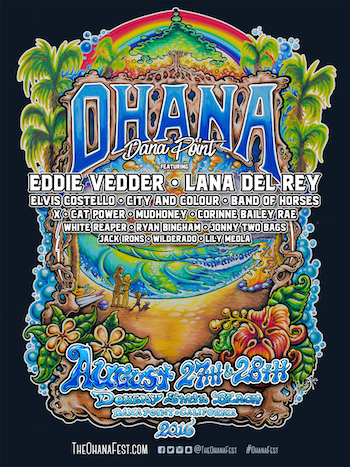 The current lineup for Ohana on Saturday, August 27 includes performances by Pearl Jam frontman Eddie Vedder, as well as Elvis Costello, Band Of Horses, X, Mudhoney, White Reaper, Jack Irons, Lily Meola, and more. On Sunday, August 28, there will be live performances by Lana Del Rey, City and Colour, Cat Power, Corinne Bailey Rae, Ryan Bingham, Jonny Two Bags, Wilderado, and more. Additionally, 11-time World Surfing League champion Kelly Slater has teamed up with the Ohana Festival to create a surf and ocean awareness exhibit in the festival area. Single day festival admission tickets are $99.50 (plus fees) and 2-day festival admission tickets are $195. A limited number of VIP will also be available for $499 per day. VIP tickets include festival entry, VIP Lounge admission with expedited festival entry, a VIP laminate, an Ohana partnership swag bag, and access to the Ohana VIP Lounge, inclusive of a hosted cocktail bar and complimentary hors d'oeuvres, a live stream of the music stage, comfortable lounge seating with shaded areas, cabanas to hang out and relax in, private restrooms, a dedicated cash bar and access to the exclusive Ohana photo booth. Also, on Friday, August 26, the Ohana weekend will kick off with The Ohana Luau - a night of inspiration and entertainment hosted by 'The Roast Master' himself Jeff Ross, alongside Eddie Vedder, Kelly Slater and friends. Held at The Ritz-Carlton, Laguna Niguel in Dana Point, a portion of the proceeds will benefit The San Onofre Parks Foundation. The Ohana Luau will include dinner, drinks, live entertainment and laughs. A live auction hosted by Jeff Ross will feature various limited edition and one-of-a-kind items, memorabilia, gift packages, and more. Dinner will be prepared by chef Brian Sundeen at The Ritz-Carlton on the bluff overlooking the Pacific Ocean, the hotel pool courtyard, as well as the Grand Ballroom. For more information and to purchase tickets, visit TheOhanaFest.com.